For bigger quantity work, rapid indexing is simplified by use of replaceable notched rings can be notched to individual requirements. Rapid direct indexing through 360 degree by means of scales graduated in units of one degree division on the flanges. 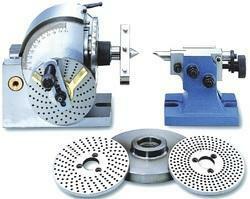 We are one of the most well-distinguished companies in the market that are into offering CNC Indexing Head. components at designed angles. Angles can be set with accuracy of 2 minutes. or stainless steel vice as a work holder. 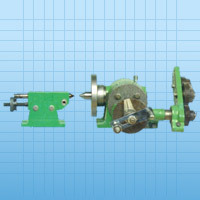 Our indexing head is a specialized electromechanical work holding device. The BENEIH Series Electromechanical Indexing Head are designed to provide precise degree, and accurate indexing. It is powered by rotary actuators, high resolution encoder. BENEIH Series can be customised to meet specific payload requirement.